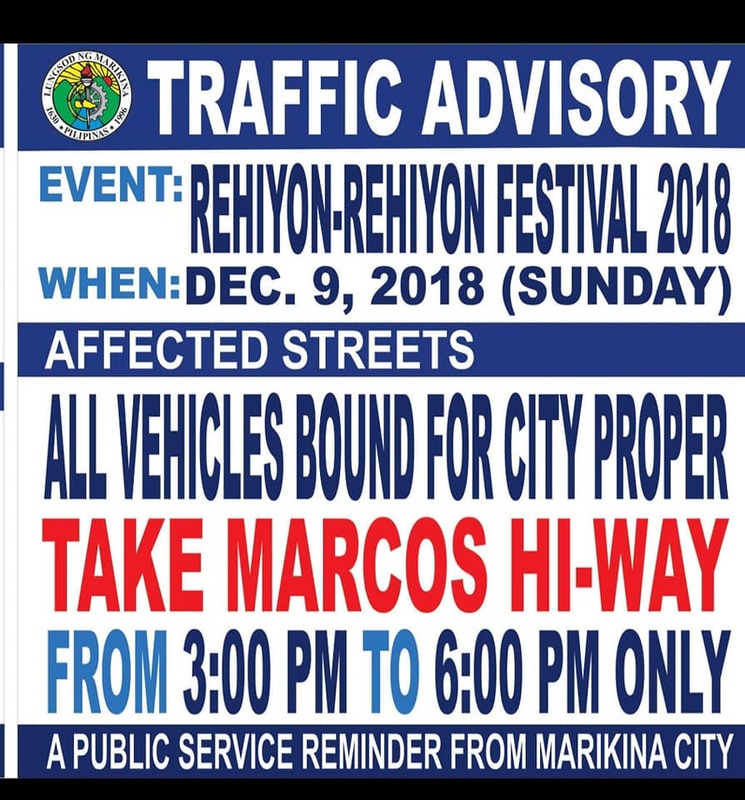 The Marikina City Government issued a traffic advisory for the celebration of the Rehiyon, Rehiyon Festival on Sunday, December 9. According to the Office of Rescue 161, a portion of Bonifacio Avenue – from Barangka to Marikina Bridge – will be closed for vehicles entering Marikina City (Eastbound) from 3 in the afternoon to 6 in the evening. Motorists are advised to instead use the Marcos Highway to enter the city proper. But the other portion of Bonifacio Ave. from Tulay Bayan to Barangka flyover will be open for traffic. 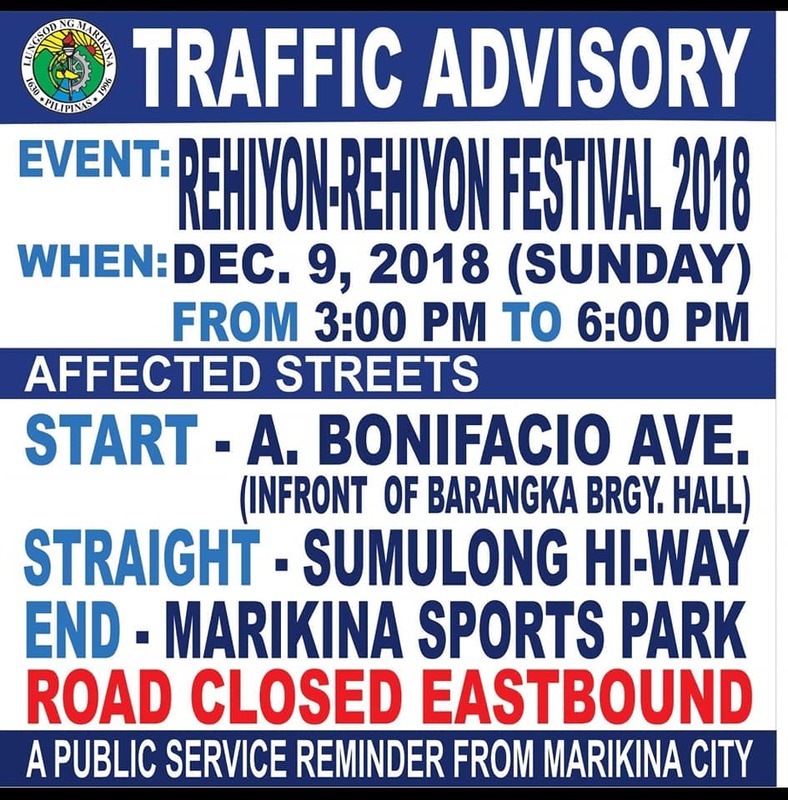 “Ipinapaalam po namin na sa December 9, 2018 Sunday, 3pm - 6pm, isasara po ang papasok sa kahabaan ng Bonifacio Ave. (Barangka to Marikina Tulay) East Bound dahil sa event (Rehiyon, Rehiyon). Kaya pinapayuhan po namin ang lahat ng mga motorista na dadaan dito na gumamit muna ng Marcos Highway up to Gil Fernando Ave., Kabayanan .